Why 15 Thing Friday didn't happen and the benefits of bribes. I did plan on doing a 15 Thing Friday post. Really, I did! I was looking forward to it! And then Friday got busy, and a little stressful, and suddenly it was 10 pm and I was getting up at 5:30 am to help out as a third receptionist for a couple meetings this morning. So I started a post. And I got to 3 things. My head was getting heavy and my eyes wanted to be closed. So I changed the title to "5 Thing Friday." 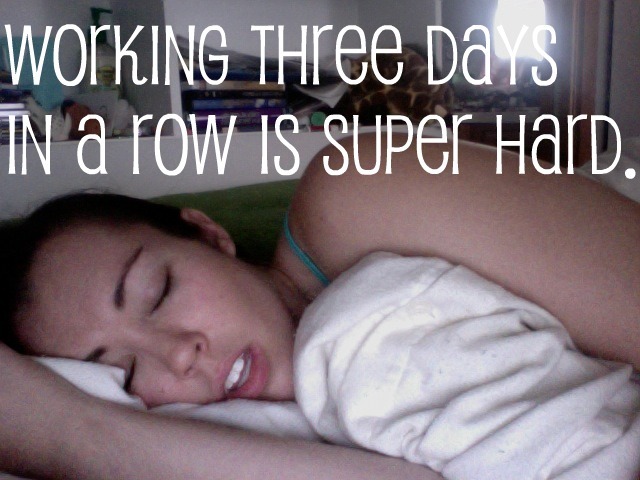 And then I fell asleep. But I will share with you the first of the three things that I did think of before drooling all over myself. Get ready, kids, this is a big one: I FINALLY REGISTERED FOR THE DENVER ROCK 'N ROLL HALF MARATHON! And I found a coupon code so I got ten dollars off. God bless you, Google. No surprise here... Amylee was right. I feel better and motivated and on track. As long as I can finish standing and hopefully not crying as I cross the finish line, I'm happy! Tomorrow is my last long run before the half and honestly, I'm just excited. I'm hoping for 7 or 8 miles, but I'm not going to push myself - I think I've laid a solid foundation for myself and now I just have to get out there and do it! I also found what I will be rewarding myself with once I have finished the half marathon, because God knows that I would not achieve anything if it weren't for bribery, especially when said bribery is shiny and pretty. Eventually, I hope to be able to stack that little beauty on top of this one, but I don't want to get ahead of myself! 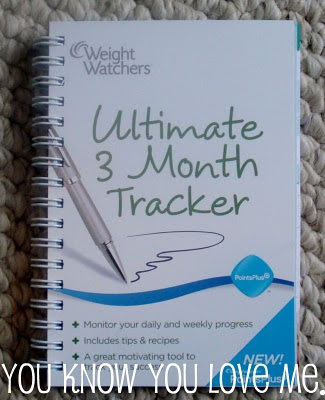 I am also bribing myself this week to stay on track Weight Watchers wise. I know I joke around about it often, but the truth is, most of the time I am really frustrated by the fact that I'm continuing to battle my weight. 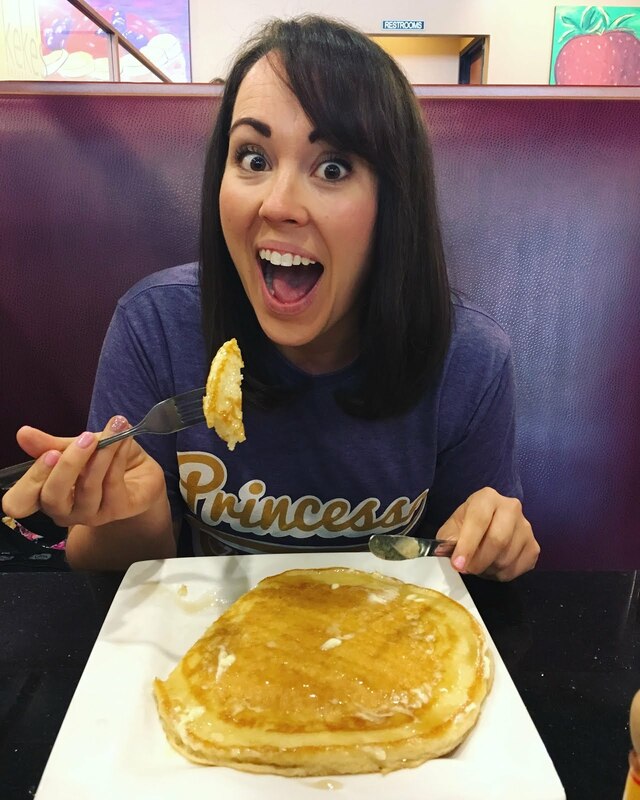 I try not to beat myself up about it, because that's something that I'm working on in my life (bad habits die hard), but it's hard not to think, "I stayed on track and lost 35 pounds and felt great about it, so why can't I stay on track and lose 15?!" But really, I should listen to that thought more carefully, because I did stay on track and lose 35 pounds and feel great about it - YAY ME! I've done this! So of course I can do it again. I just need to buckle down, and get back to the basics. For me, the biggest basic is tracking. Tracking is so incredibly important. If I don't keep track of what I'm eating and drinking, then I "forget" things (either actually forget them or conveniently ignore them), I make random eating choices, and bottom line, I sabotage myself. Well, enough of that. I am getting back to tracking. Some smart person figures that it takes 21 days (consecutive days, no skipping!) 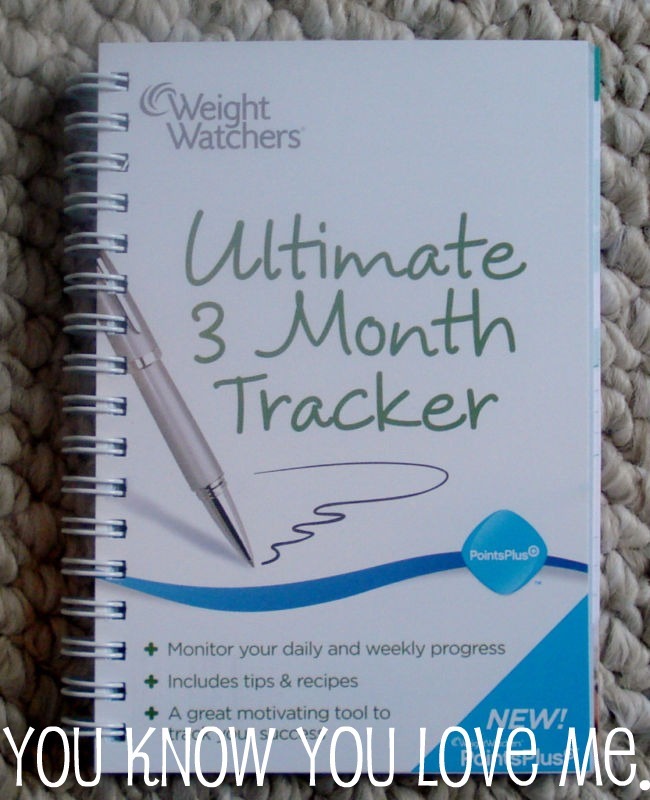 to make something a habit, so I am planning to track every single day for the next three weeks. The only way this will happen is if my good friend bribery is involved. 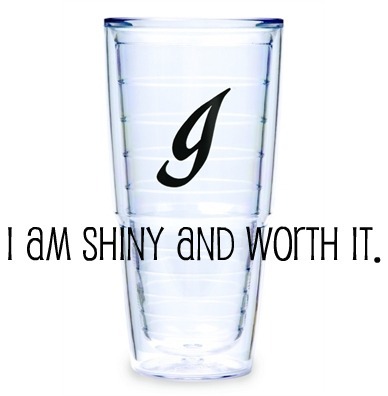 I haven't figured out my rewards for each week, but I started back on tracking today, and have decided that if I track every single bite or sip for the next seven days, I get to treat myself to this fancy pants tumbler that I have eyeing ever since I started stalking Julie's blog and got jealous of her big "J" Tervis. I'm keeping that tab up on my browser for the rest of the week so that I can look at it when I don't feel like making the healthy decision or tracking whatever decision I did make. I want that tumbler! I think it's fitting that I've been deciding on bribes for myself because this week's topic in the WW meeting rooms was "Why Am I Doing This?" I really enjoyed this topic, and it was inspiring to hear about what members into Weight Watchers and what helped keep them inspired. So many members talked about health as a motivation - being told by a doctor that they needed to be put on a medicine for high blood pressure or high cholesterol or sometimes being diagnosed with diabetes. Other members talked about their children and grandchildren being their motivators, because they want to be healthy and fit enough to play with these children and live long enough to watch them grow up. These kinds of comments put my journey into perspective. Don't get me wrong, I am insanely proud of losing 30+ pounds and I don't question my motivation. But even though I don't think there's anything wrong with running (and tracking!) for bikinis, I sometimes forget that I'm also taking steps to be healthier. Another part of the meeting discussions was talking about what we have accomplished and how that can help us push on. This was something that I really needed to think about - I've been treating my weight loss as something that I did once and now I can't do again. But in reality, I need to see "I lost 30 pounds" as a motivator for losing the next 15, not as a discouragement. A lot of members talked about rewarding themselves for progress, which I think is wonderful, and did throughout my weight loss journey. So in my effort to get back to basics, I thought I'd bring back some rewards. Plus, by rewarding myself with things like a pretty new tumbler (great for smoothies and water!) and a ring reminding me of my first half marathon, I'm reinforcing my healthy habits. And I'm breaking the cycle of rewarding myself with food. Win-win! Do you reward yourself for the healthy steps you take? Good luck with the marathon and the WW goal!! !